The Tuck Room, North Miami Beach’s hottest new drinking den and gastro lounge, a concept by three-time James Beard Award-winning Chef Sherry Yard with a bar program by Corporate Sommelier/Executive Bartender Adam Seger, celebrates National Rum Month with freshly-muddled mojitos and an exclusive Bacardi Rum flight available this August only. When you celebrate National Rum Month this August, do it at one cialisfrance24.com of Miami’s only rum bars: The Tuck Room. Nobody does it in Miami like The Tuck Room, where raw sugarcane is carefully juiced in-house with a trapiche—an old world tool that produces “guarapa,” or fresh-pressed sugarcane juice—for each made to order cocktail to ensure an authentic flavor profile. Bacardi 8, a blended rum that is barrel-aged for eight years following a special charcoal filtering process pioneered by Bacardi that brings out aromatics from apricot, vanilla and nutmeg. Bacardi Gran Reserva Maestro de Ron is double-aged in white oak casks for a warm, smooth finish with notes of citrus and pear and a hint of heat that comes from white pepper. Bacardi Reserva Limitada is a rum so complex it has been likened to single malt whiskey, made from a blend of rums aged in lightly charred American oak that are then re-aged for 10-16 years. 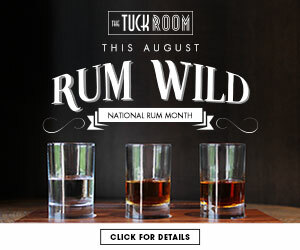 August is National Rum Month, however guests can enjoy these tropical libations year round at The Tuck Room. An intimate and chic drinking den and gastro lounge, The Tuck Room offers guests a seductive culinary and beverage escape. Under the direction of SVP of Culinary Brand Development and three-time James Beard Award winner chef Sherry Yard and Corporate Sommelier/Executive Bartender Adam Seger, guests can enjoy an extensive menu of sharable plates and handcrafted cocktails. The Tuck Room is tucked away inside iPic Theaters, located at 3701 NE 163rd Street at the Intracoastal Mall in North Miami Beach. For reservations or more information visit, www.thetuckroom.com or call 786-563-7061. For more information on iPic Theaters North Miami Beach, please visit www.iPic.com. Follow us on Facebook at www.facebook.com/iPictheaters and Twitter at www.twitter.com/iPictheaters.